This book is about Calvin’s struggles with manic episodes, and the places his illness has taken him. This book gives readers a look into his mind during these episodes, so as to paint a picture of what it feels like to be manic, and what type of trouble mania can lead to. 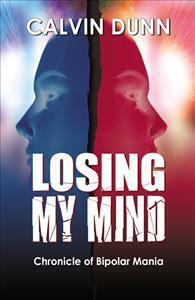 He has written a striking account of his mental operations during his manic episodes and his road to recovery. This is his account of his experiences during psychosis. His writings detail his extraordinary perceptions during this out of touch with reality state, and brings mania to life.